The solar rays are invisible to the naked eye, they should not be confused with the brightness. If you’re not careful, the sun can be very harmful to your eyes. In prolonged exposure unprotected, ultraviolet can damage all tissues of the eye: cornea, lens and retina. 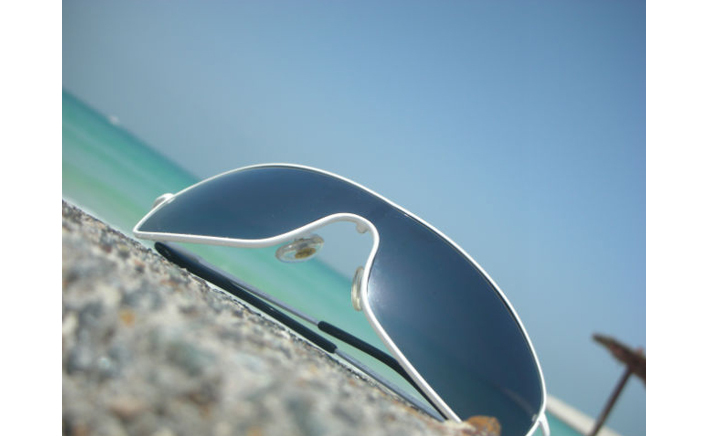 To protect yourself, the sunglasses are of course essential … provided they are reliable and suitable for your purpose. The sun can also accelerate the aging eyes and increase the risk of early cataracts and macular degeneration related to age, which are two major causes of vision loss. With age, and under the influence of other risk factors (diabetes, metabolic disorders, heredity), the lens may become opaque: the cataract. This disease causes a progressive loss of vision, poor perception of contrast, glare in bright light and blurred vision of the contours. But more importantly, without surgery, it can lead to total blindness. 20% of cataract cases are caused by overexposure to the sun. UVA rays are most harmful to the eyes. In adults they reach the lens and child, they can go to the retina! UVB, meanwhile, are absorbed by the lens precisely. The lens is a kind of lens behind the iris of the eye that allows, like a camera lens, to focus. For this, the average age of the intervention continues to decline. Many factors lead us to believe that brutal sun overexposure can affect the risk of developing AMD. Overexposure by brutal means, for example the act of placing one or more full days at the beach or mountains without sunglasses. This is distinct from the permanent exhibition in the sun through the exercise of his profession (farmer, sailor, etc..). She is doing s’évolue to a progressive loss of central vision, ie the entire visual field useful for fine vision. Patients retain some autonomy by peripheral vision but can not read, drive or watch television. AMD usually starts with an image distortion. Must be tested each eye. – The damaging effects of light will be even greater on babies with blue eyes and 3 months before your child should never be exposed to direct sunlight and still be released under shelter. – Special considerations for children. – The contact lens wearers must wear glasses. The structures of the eye are made to absorb a certain amount of harmful UV rays. The cornea absorbs UVB while the lens of the eye, lens, absorbing UVA, this aims to protect the retina from excessive radiation which could damage it. Beware of all sources of radiation, those with direct sunlight but also those that affect us by reflection on the sand, water and snow. When the eye is exposed too long to harmful UV rays, it can develop diseases, inflammation of the cornea or retina, or longer term of the cataracts, hence the importance of protecting themselves properly . We must ensure that the child never looks directly at the sun eclipse there or not, and do not let children play with lenses or mirrors that would reflect sunlight into his face. Children whose eyes are dazzled the lighter more easily than those with dark eyes. This is because their eye contains less than rhodopsin, a pigment derived from vitamin A. It is therefore essential to maintaining eye health, Vitamin A found in foods in general, including carrots, so it is true that carrots are good for the eyes. It is not true, however, that the pale-eyed children are more likely to develop eye diseases. There is no proven link between eye color and the presence of pathology.